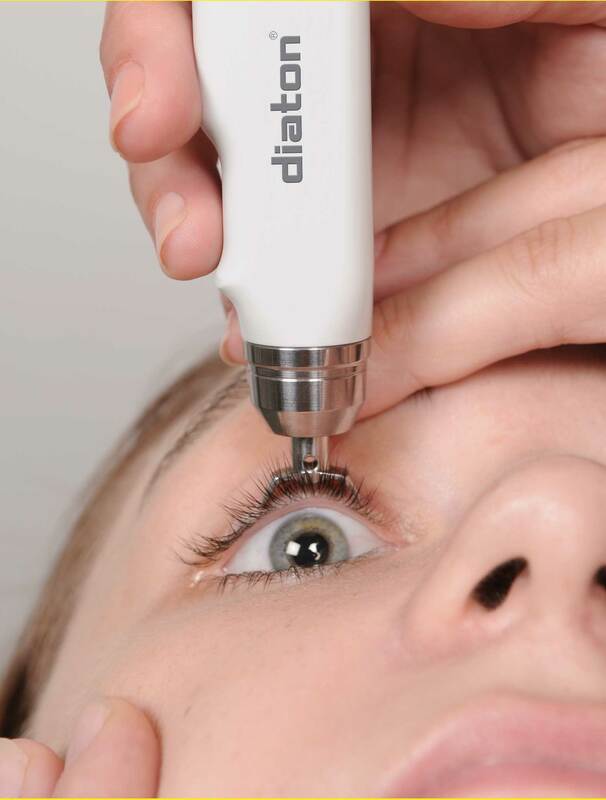 Who Uses the Diaton Tonometer? 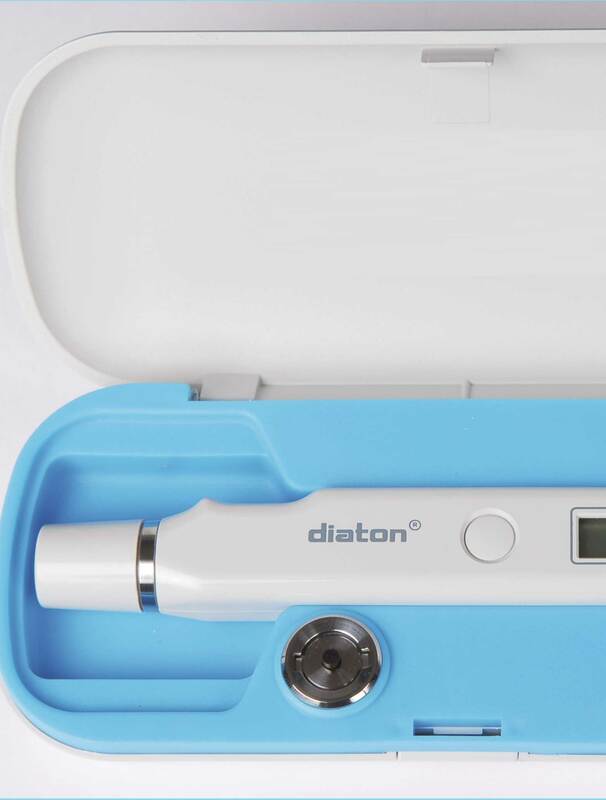 Diaton Tonometer is intended for use by Ophthalmologists, Optometrists, Ophthalmic technicians as well as Inpatient & Outpatient Clinics such as Hospitals, Emergency Rooms, Urgent Care Clinics, Nursing & Elderly Homes, General & Specialty Practitioners. Non-corneal, Scleral Diaton tonometer is particularly useful in cases where standard direct applanation (corneal) tonometry is difficult or not viable, such as with pediatric patients, in presence of certain corneal pathology, edema, infection, following corneal surgery, keratoconus, KPro and in cases of eye trauma. Multiple Clinical Studies showed IOP to elevate by ~5-7 mmHg regardless of scleral lens diameter worn. Eye care practitioners that fit sclerals now Need to monitor IOP with Scleral Lenses IN the eye! IOP monitoring with Diaton minimizes the risks & liabilities for practices and increases the level of patient care. 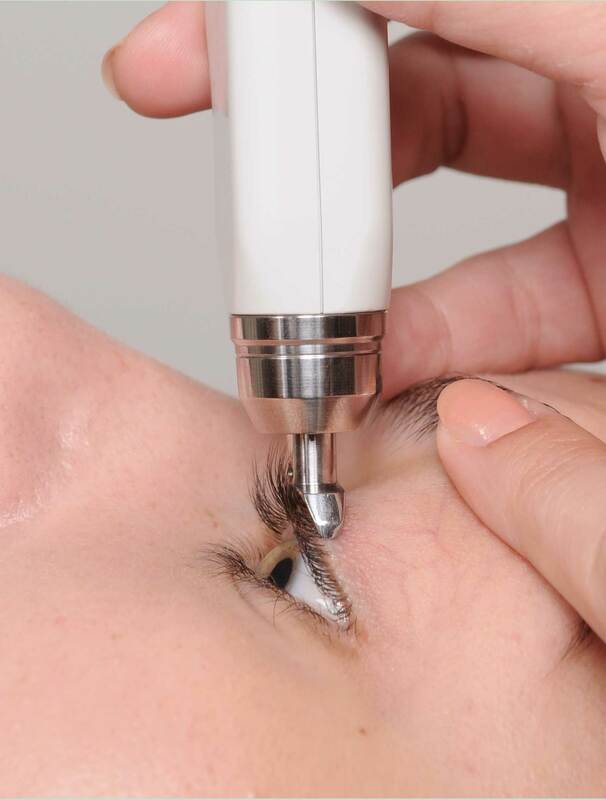 “Diaton tonometry” is a unique approach to measuring intraocular pressure (IOP) through the Eyelid and Sclera. Non-Contact (no contact with cornea), no anesthesia or sterilization required, pen like, hand-held, portable tonometer.